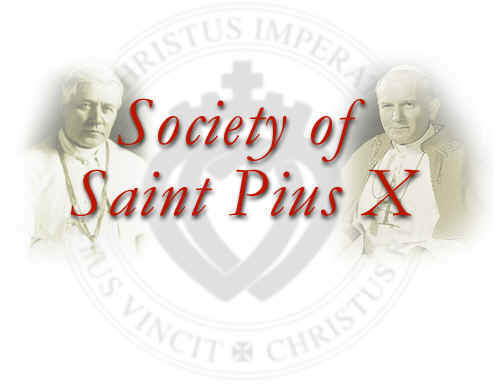 This website is is NOT sanctioned or approved by the SSPX. Where the Traditional Latin Mass is said every Sunday. 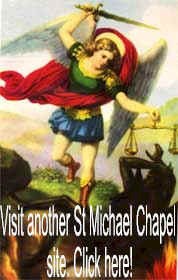 Hello, and welcome to the website for Saint Michael's Chapel. First Friday: mass is at 7:30 PM followed by a Holy Hour, Exposition and All-Night Adoration and Benediction. First Saturday: mass is at 6 PM, or 7:30 when following First Friday. Sacraments: For all sacraments, please call Fr. Baptism- children should be Baptized as soon after birth as possible. This is a parent's first responsibility to the new child. It should not be postponed for any reason. Limbo is a real place. 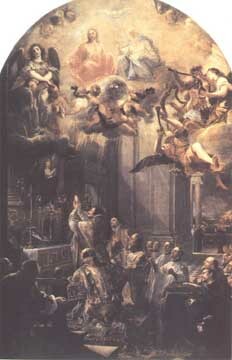 Extreme Unction - if there is any cause to believe that a person is in need of this sacrament, please do not put it off. Call Father immediately. We do NOT have a CCD program. Our children learn time honored, traditional Church teaching from venerable catechisms like the St Joseph catechism. A child must be 6 to start. St. Michael's Chapel is administered by priests from the SSPX and is not sedevacanist. All Catholic's may go to mass here and not be in schism. If you have any questions, please call Fr who will be able to allay your fears, give you documentation, and allow you to attend St Michael's with a clear conscience. St Michael's runs a unmistakably Catholic bookstore at 900 Horseblock Road in Farmingville, right next to the Chapel. You will find all kinds of edifying books, artistic Catholic statues, unique rosaries and chaplets - everything you need to uplift your Catholic spirit. Please come visit us!